Fine dinging, sophistication and mouth-watering Indian and Pakistani fares are the top features of Indiflavors Restaurant in the district of Oud Metha, Dubai. These delicious dishes of Indiflavors Restaurant are carefully cooked by the dedicated team of chefs, who are well familiar with the art of traditional culinary. Due to this reason, every bite of food at this eating place is not less than a great treat, as taste buds get fully tinkled with the rich taste of Indiflavors’ splendid food varieties. The settings of this place make the dining experience even more delightful, as ambience here is romantic and quite cosy. Aside from this, Indiflavors Restaurant also offers free delivery, takeaway, breakfast, set lunch and catering services. Indi nashta (breakfast) is offered to the guests on every Friday and Saturday between 8:00 am and 11:30 am. The delicacies included in this nashta are stuffed Parathas, Misal Pav, Egg Bhurgi, Keema pav and many more. Set lunch menu is another highlight of this bistro, it includes Shorba(soup), IndiKabab (Veg or Non Veg), IndiCurry (Paneer or Non Veg), Mix Vegetable, Tandoori Rotis, Dal, Jeera Rice and Sweet of the Day. Free home delivery and takeaway services are also offered through which foodies can now enjoy the appetizing dishes of this eatery at their own site. In addition to this, Indiflavors Restaurant also offers catering service for private events and functions. A speciall deisgned play corner for kids is also available at this eating place, where parents can leave their children to engage in recreation. To see the a la carte menu of Indiflavors Restaurant, click here! 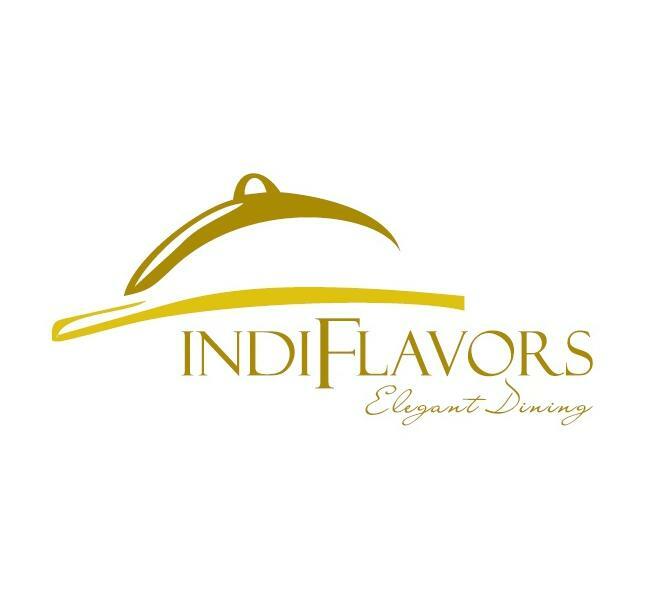 Indiflavors Restaurant opens daily from 11:30 am to 3:30 pm for lunch and from 6:30 pm to 11:30 pm for dinner. Oud Metha - Behind Movenpick BurDubai, Near ENOC - United Arab Emirates. Head west on 26th Street from this metro station, after which a roundabout will come; take the 4th exit from it and then turn left onto 20th Street. Turn slight right onto 19th Street afterwards, then turn left, before making a right turn that will lead you to another turn that goes onto the left side. This will bring you to another turn on the right side, after which make another right turn and soon the destination will be on your right side. 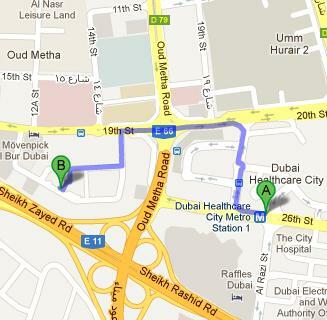 American Hospital 2 – Dubai bus stop is 650 metres away from Indiflavors Restaurant and on feet this distance can be covered in about 8 minutes. If a bus passenger heads west on 19th St towards 12B Street, then turn left onto 12B Street and afterwards turn left to find the destination on the left side. Bus numbers which serves this restaurant are 42, 44, C4 and C18. Check out map for directions.